Miva Merchant ranks No. 1,249 on the 2013 Inc. 500|5000 and No. 78 on Inc.’s Top Companies in the software industry. We have our outstanding clients as well as unparalleled Miva specialists to thank for these excellent results. Inc. Magazine has named Miva Merchant as one of the fastest growing private companies in the nation. The Inc. 500│5000 List is an exclusive listing comprised of the leading companies and drivers of the U.S. economy. The companies on this year's distinguished list are reported to have created over 520,000 jobs in the past three years. The list ranks companies according to their overall revenue growth over the last three years. Miva Merchant, a leading ecommerce platform, announced today that it ranked #1249 on the 2013 Inc. 500|5000 List. Miva Merchant also ranked #78 among Inc. 500's list of top companies in the software industry. Miva Merchant shares this honor alongside their notable clients, such as ScotteVest.com, DriNights.com, GreatBritainTile.com and many others. Miva Merchant, located in San Diego, CA is a leading e-commerce solution consisting of PA-DSS validated shopping cart software, PCI compliant ecommerce hosting, credit card processing services and custom website design and development for businesses looking to sell online. 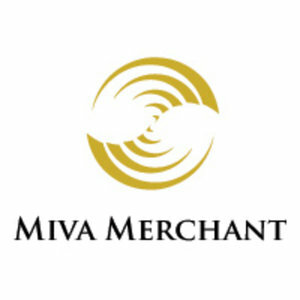 For more information about Miva Merchant, please visit http://www.mivamerchant.com.